Stan and Jan were always concerned about conserving Mother Earth and eating healthy foods. Over the years, they wrote a number of Berenstain Bears’ stories dealing with these topics. As we celebrate Earth Day on April 22, let’s all find at least one simple way to be green! In the Berenstains’ newest book, The Berenstain Bears Go Green, Mama, Papa, Brother, Sister, and Honey are doing just that! The Berenstain Bears live in a wonderful place filled with green grass, blue skies, and lots of furry friends. But on a fishing trip at the creek, the Bear family discovers the town dump is overflowing. It’s spilling garbage into the water! Can the Berenstain Bears find a pollution solution before their beloved county is filled with garbage? In long-time favorite The Berenstain Bears and Too Much Junk Food, Mama Bear lays down the law when she notices Papa and the cubs are getting too chubby. With the help of Dr. Grizzly’s slide show on how the body works, the Bear family makes a healthful adjustment in their diet and fitness habits. Published by Random House in 1985. Published by Random House in 1991. 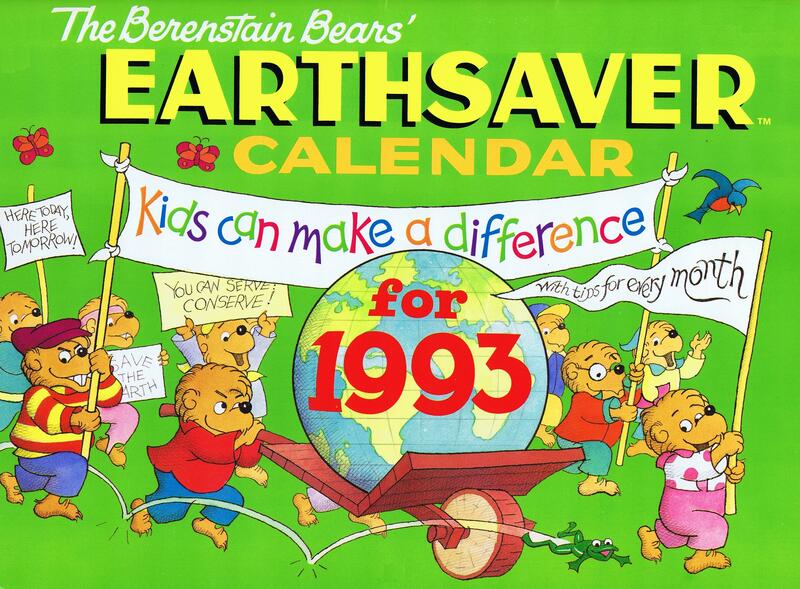 Two Earthsaver Calendars were published in 1992 and 1993 by Random House. Inspired by their neighbor Farmer Ben, Brother and Sister decide, with Mama’s help, to plant seeds, cuttings, and tubers. The Do-It! section includes instructions for the propagation of numerous food plants in water and/or soil, plus some simple plant science. Published in 1996 by Random House. 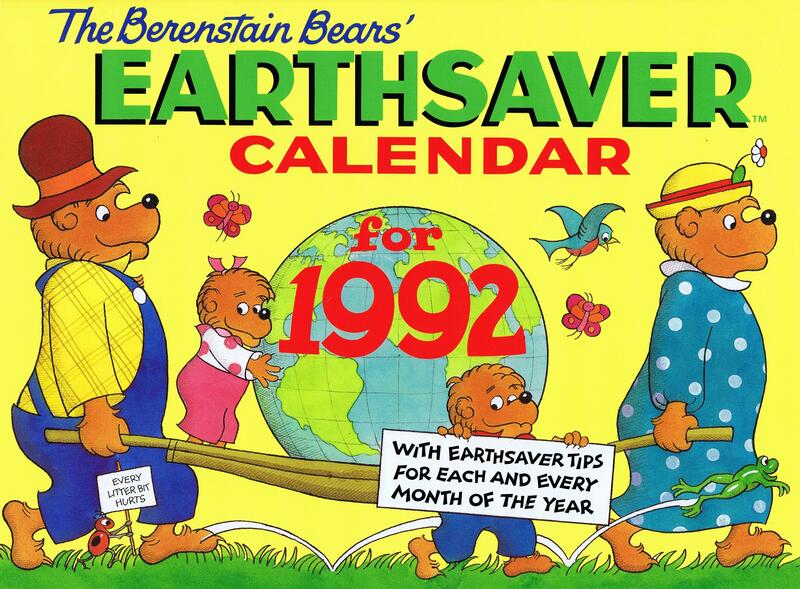 The Berenstain Bears the Whole Year Through invited you to be an Earthsaver and showed you how, with fun activities you could do every month of the year. Published by Scholastic in 1998. Now grandson Sam is following in Stan and Jan’s footsteps. A graduate of Eastern Mennonite University with a B.A in Environmental Sustainability, Sam spent a season in NYC working on two urban farms studying the practices of city produce production. With a passion for building a community around youth-oriented agriculture, Sam helped found Project GROWS in the Harrisonburg, Virginia, area where he spends his days sheet mulching, harvesting, and teaching about sustainable farming. Project GROWS is a 10-acre, non-profit youth-oriented community farm with a mission of improving the overall health of children and youth in the tri-county area through community farming that includes hands-on experience, nutrition education, and access to healthy food. To celebrate Earth Day and the release of The Berenstain Bears Go Green, watch our Facebook page from April 19-22 to enter our give-away. 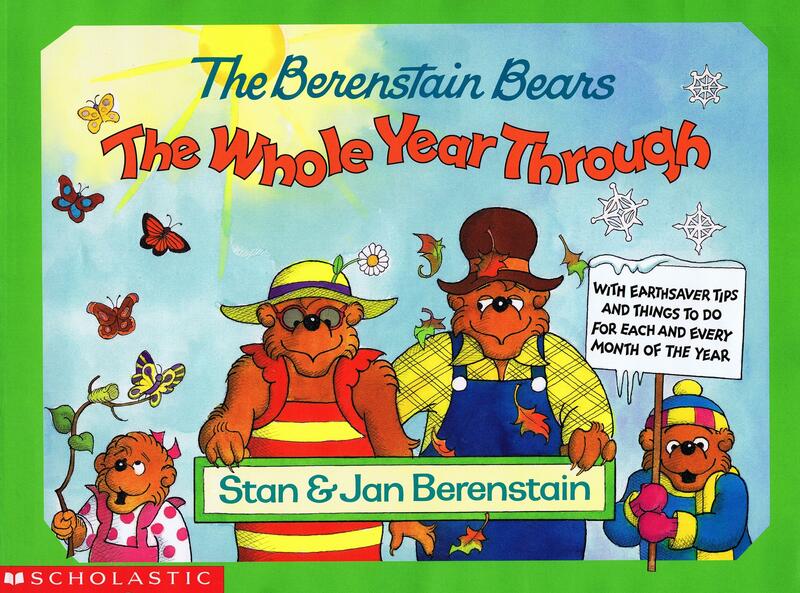 Five lucky entries will receive a copy of the book signed by Mike Berenstain.